Our Contract Guest Bed is the space saver with style. 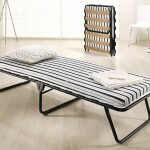 The under bed has self folding legs which allow the bed to be used as a large double or two twins. The main bed has a separate bed. This is stored within the base, which means once pulled out and raised, the guest bed will be the same height level as the main bed. 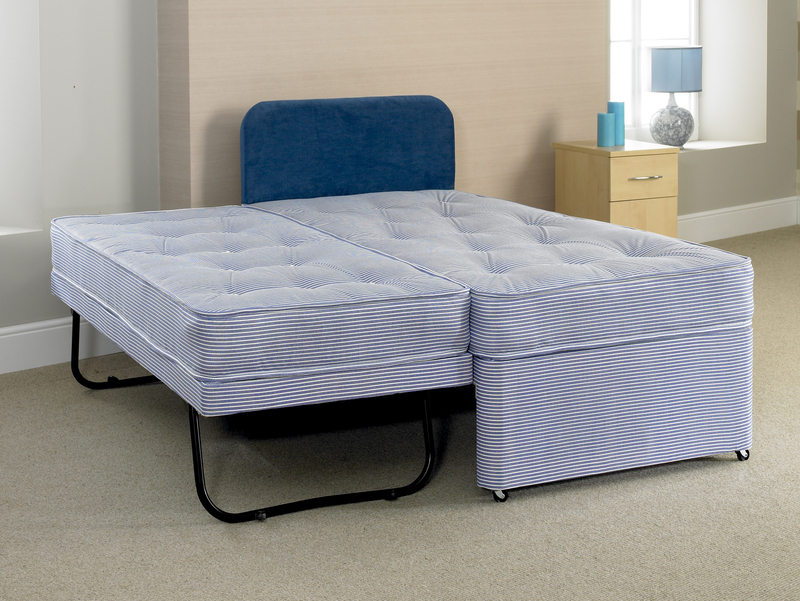 Shown here as the Warren stitchbond, the guest bed is also available in PVC, cotton and breathable fabrics. 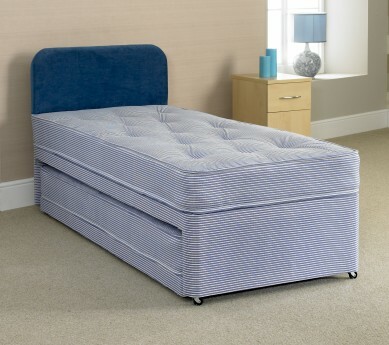 Available with the following mattresses, Horden, Warren, Derwent, Beamish, Thornley and Farnham. We also offer scheduled deliveries, installations, removal and also a mattress recycling service. 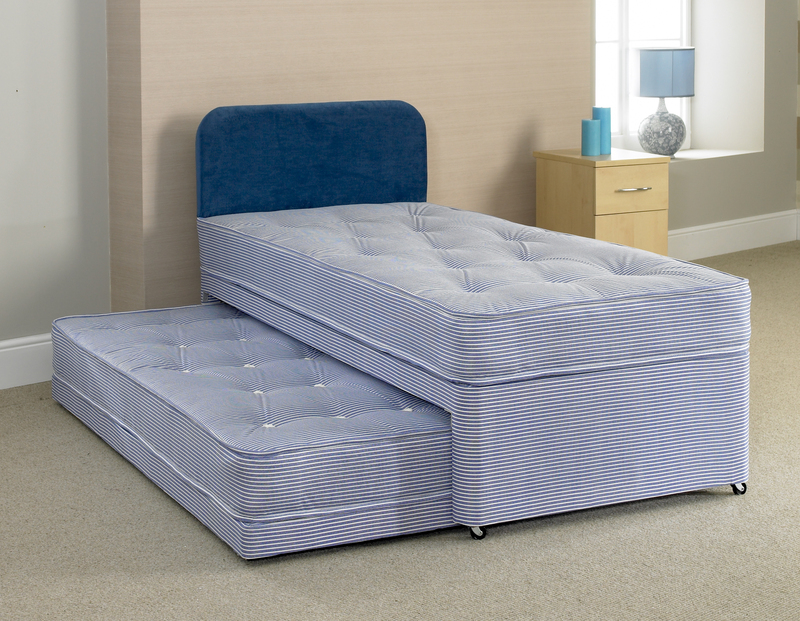 Bishops Beds also have an in house professional installation team to make the changeover as smooth and stress-free as possible.